The opposition had attacked the government for delaying the Winter Session, claiming that it was being done to avoid a debate on scams, including the Rafale deal, ahead of Gujarat Assembly polls. NEW DELHI: The winter session of Parliament is likely to commence on December 15, a day after the second and last phase of polling in Gujarat. 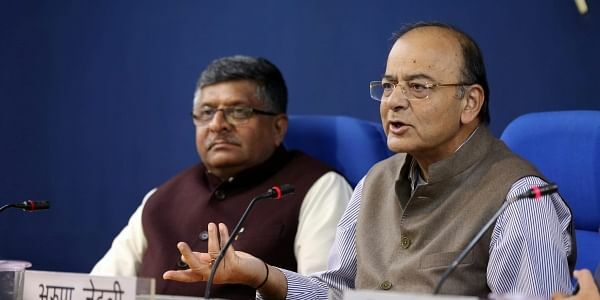 Union Minister for Finance Arun Jaitley on Wednesday said it would be a “regular” session, which would not coincide with state elections. His remarks came after the Cabinet Committee on political affairs (CCPA), chaired by Union Minister for Home Affairs Rajnath Singh, met earlier in the day and reportedly decided to recommend convening the winter session from December 15 to January 5 to the President. However, sources said the formal announcement of the schedule had been delayed to ensure the re-promulgation of two ordinances. An ordinance cannot be issued after the dates of Parliament session have been announced.The Congress and the BJP have been engaged in a political slugfest over the delay in announcing the schedule of the winter session, which usually begins in the third week of November. The Congress has accused the government of running away from facing Parliament in view of the upcoming Gujarat Assembly elections and to evade a discussion on issues such as the Rafale deal, GST and demonetisation. A few days ago, Congress President Sonia Gandhi alleged that the government was “sabotaging” the session on “flimsy grounds”. Responding to the charges, Jaitley said the government wanted to ensure that the session dates did not clash with that of the elections. Taking a dig at the Congress, he said, “In democracies, political parties directly address the people at the time of elections. We have a high stake in elections even if the Congress may not have. In the past, too, Parliament sessions had been rescheduled to accommodate elections, Jaitley said. Asked whether a session which begins in December could continue in January without the customary address of the President, Jaitley said the issue had been settled long ago. He said if the session spilled over to January, it was not considered a fresh session. The first Parliament session of a calendar year warrants an address by the President, he said. Hence, the winter session will not be counted as the first session of 2018 and the President will address the inaugural day of the Budget session.